From the 2nd – 4th June, interactive curiosity cabinets will land in the post-industrial town of Bollington, awaiting audience’s participation to unlock stories hidden inside. These will be located at several points in the town – Clarence Mill, the rec, Market Place, St John’s Church and the viaduct – and each will contain the memories of people in the town that relate to themes such as community, work and play. 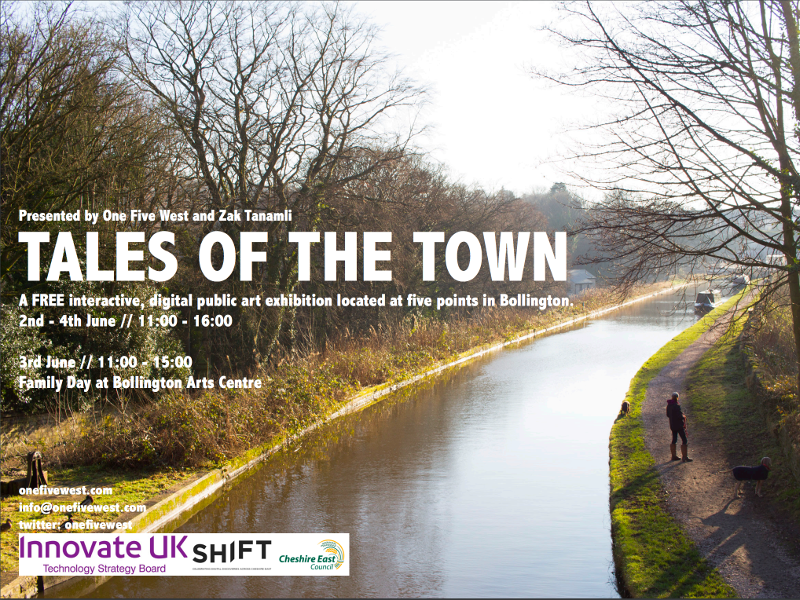 One Five West, artists Sophie Bullock and Anna Horton, and local anthropologist Zak Tanamli have been conducting interviews with local Bollington residents to catch a glimpse of how life in Bollington has changed over the years, and what the future looks to be. The ‘Tales of the Town’ exhibition is a nostalgic look into the lives of people in a town that prides itself on its heritage, industry and community spirit. These stories capture the days when Bollington was famed for spinning the finest cotton, being an ounce over the scales resulted in headless jelly babies in the sweet shop, and local legend Dr. John Coop pioneered the popular Bollington Arts Festival. For the duration of the exhibition, audiences will be given a map of where to find the curiosity cabinets. Inside the cabinets will be old photographs, objects that relate to the recorded stories (such as cotton reels and old medicine bottles), newspaper clippings and more. When brass plates on the cases are touched, the stories will be played aloud so the audience can enjoy looking, listening, and exploring sites in the town. One Five West have developed bespoke technology for this event, the ‘TARA’ board, which is capable of processing various sensor data – such as light, infra-red and gesture – and transforming it into sound. For this exhibition, One Five West will be using touch capacitive sensors, whereby audience’s touch activates the recorded stories.